The internet places a massive role in the research process for travel products, with 71% of consumers having browsed for a flight, hotel or holiday in the last six months. With the help of Toluna Quick, we surveyed 5,000 UK consumers in September as part of our research for the Econsultancy / Foviance Multichannel Customer Experience Report. In general, travel brands appear to be delivering a decent online user experience, with 81% rating it as good or excellent, and just 3% as poor or very poor. This compares favourably to mobile and gaming brands, but lags behind the retail (88% good or excellent) and banking (83%) sectors. The survey results highlight the importance of the internet for booking, and echo the results of an earlier Econsultancy/Toluna travel survey, which found that the web was involved in 85% of travel purchases, either in the research phase, or for actual bookings. If we include mobile and tablets, then 71% of travel research takes place online, making the internet absolutely vital for travel brands. It’s no surprise: holidays are the biggest purchase of the year for many people, and it’s a decision that can take some time. While 71% of respondents research online, just 56% of people have booked the travel product on the web, which may suggest that people are seeking reassurance via other channels before taking the plunge, as well as the fact that much travel research doesn’t necessarily lead to a purchase. The fact that 9% are booking holidays via mobile devices is another interesting stat, and shows there is an appetite for this despite the fact that the major travel brands aren’t currently offering mobile sites and apps. Of the ten travel brands on Hitwise’s Hot Shops list (of the 50 most popular UK retailers by traffic), just four have some kind of mobile app or website. Major brands such as Thomson, easyJet and Thomas Cook have no mobile presence. The stats suggest that travel brands should be doing more with mobile. 19.5% of search queries for hotels are made via mobile, while eyefortravel says that the number of mobile travel bookings has grown from $20m in 2008 to more than $200m in 2010. Travel products (especially package holidays) are generally more complex than other online purchases, and getting the user experience right is a challenge. A recent user study by whatusersdo found a number of usability issues with the Thomas Cook and Thomson websites, and there is clearly room for improvement in some areas. Customer service and price-related issues dominate, though a user friendly website was important to 20% of respondents. Ryanair has added a new captcha screen in a bid to beef up security against screen-scrapers. The screen appears once date and destination information has been entered on the home page, preventing screen-scraping sites from accessing pricing and availability information. A statement from Ryanair heralds the captcha as an ‘outstanding success’ after eDreams and Bravofly stopped displaying its pricing details on their websites. 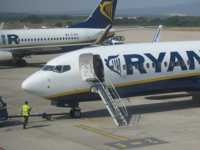 It says the move “has improved consumer access to, and the response times of, the Ryanair.com website”. Despite the rapid growth in popularity of mobile internet use, two-thirds of companies have yet to optimise their websites for mobile. This is one of the findings from our Conversion Rate Optimization Report, produced in association with RedEye, and based on a survey of more than 700 client-side and agency digital marketers. It’s a missed opportunity, especially for retailers, as there are enough success stories now to show that mobile can work.